Let me say at the beginning that keeping the truth from your students is a good idea. Students don’t deserve the truth just by registering for the course. Some sit there in front of you thinking that they do; that they have spent good money to buy the truth and now you should deliver; that your job is to give them the product they have purchased. But if they want truth, you should make them work for it. Teaching theology is not just saying things that are true. It is helping students see and experience the truth for themselves. You are not there to convey them up the mountain on the ski lift of your lecture but to help them climb the mountain for themselves, with you beside them and holding the rope. Or, to put it another way, you are not a rich kind uncle, but a poor cunning educator. You are helping them with a process not giving them presents. The earlier in a lecture you give them the truth as a present, the less of the educative process you are able to conduct. And sometimes the best way to the truth is through what is not true, so why not sit on the edge of the desk, look them in the eye and show them the power of the arguments for the wrong position? Lead them up the garden path and, when it is clear that all they have arrived at is the compost heap, guide them back and show them the right way forward. Now, I know that there is a role of truth telling in theological education. 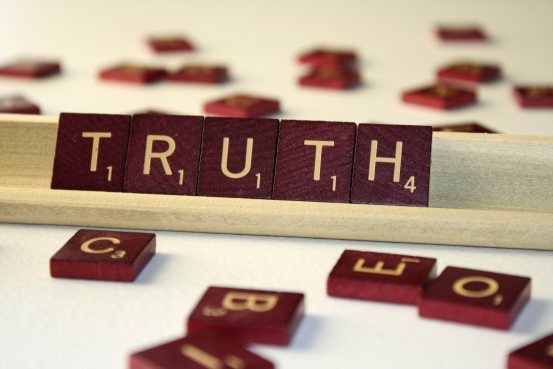 Truth has been entrusted to us and we have to be faithful stewards of that truth. But students also have been entrusted to us and we must attend to their development into thoughtful theologians and Christians as well as filling their back packs with the golden bricks of theology. We do them no favours for the future unless we show them that there will be a difficult theological task to be done throughout their ministries – enabling the Word of God to speak into the complicated and varied situations they encounter, thoughtfully and with power. And it would be good to get into the habit of thinking deeply about it now. This has relevance, not just for future ministry, but also for the classroom situation in the present. If you want your lectures to be “interesting”, it will not be enough to show lots of funny, pretty pictures on the screen. You will have to lead your students into the dangerous dark wood of ideas. Or to use yet another metaphor in this already ridiculously metaphor-laden article, you are the ship pilot whose job is to take them out into the storm before you lead them into the harbour – since that is the best way for them to understand the harbour. Now that is interesting, and a lot of fun for both sides of the desk. But there again, maybe much that is in this little article is not true, just an example of what we are talking about. This entry was posted on February 1, 2013 at 10:05 am and is filed under Uncategorized. You can subscribe via RSS 2.0 feed to this post's comments. You can comment below, or link to this permanent URL from your own site. This raises in my mind an interesting distinction between giving students what they want and what (in our humble opinion, we think) they need. I’ve had a number of module assessments come back to me with requests for me not to ask them lots of questions but to give them ‘the answer’. Very true, William, there could well be more than one genuine harbour and who are we to choose for them. There could well be a few places which look like harbours and we should point out that there are pretty bad rocks there. I guess we could go on for a while about this analogy! Is it orthodox to be a tease ? Another very engaging article Graham. I have to say some of my most enjoyable theology classes came as you led us all merrily up the garden path (or should I say the garden paths) to finally drop us-sometimes gently, sometimes not so gently. Those were by far some of the most empowering and shaping moments in my theological journey. I would also say that module assessment sheets and the evaluations typified by them can so often seem to suggest that our role as teachers is simply to entertain and spoon-feed our classes. Well now, I only dropped those I knew could bounce…. Certainly an independent search for truth pays best. However, many people think that it is easier being told what is true than putting effort in finding out. What we find out for ourselves becomes part of us. Thanks for an article well thought.